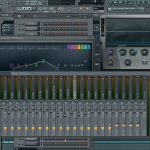 A lot of FL Studio users are interested in removing vocals from existing tracks in FL Studio. This can be very useful for making remixes, Karaoke tracks, removing vocals to chop audio, and more. 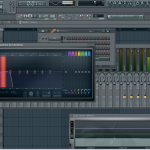 Although it can be difficult to get it perfect it is possible to do it in FL Studio using a process known as phase cancellation. The tutorial above is a great representation of how to remove vocals in FL Studio. Although this is a pretty advanced technique you should be able to follow along. The most important element in this tutorial is that the vocals in the track are panned to the center and even then you might experience some issues. As demonstrated in the tutorial you will need to use three tracks in order to make this work. You will need the original input track, and two copies of that track. The first track will then be sent to the first side-chain track. Then the stereo shaper will be added. 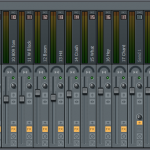 Once you have reduced the left and right channels on the first copied track you will use Maximus in FL Studio. Using Maximus will make it so that you are only phase cancelling the frequencies you want. Maximus will allow you to separate the low and high band frequencies. You will then be using another instance of Maximus. One will be used to eliminate the highs and midrange frequencies while the other will be doing the exact opposite. Once you have done this you will then be creating a dashboard to control both Maximus plugins with one control knob. This will allow you to fine tune the frequencies that are being phased out. 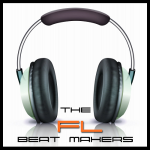 This is a pretty complex tutorial especially for FL Studio Beginners. You may have to pause the video as you follow along, rewind, and make sure that you follow each step precisely in order for this to work.